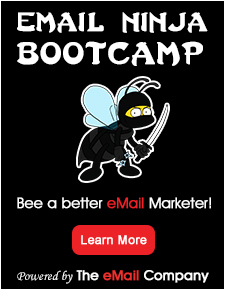 Design in email copy is one of the most understated, but highly appreciated aspects of email marketing. At a time when inboxes are cluttered, if you want your messages to get opened and read, they must stand out from the crowd. 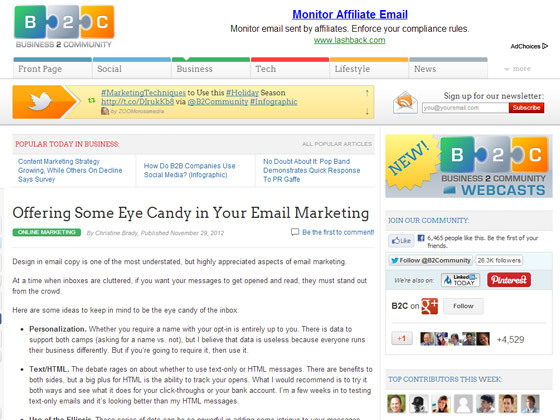 Here are some ideas to keep in mind to be the eye candy of the inbox. Personalization. Whether you require a name with your opt-in is entirely up to you. There is data to support both camps (asking for a name vs. not), but I believe that data is useless because everyone runs their business differently. But if you’re going to require it, then use it. Text/HTML. The debate rages on about whether to use text-only or HTML messages. There are benefits to both sides, but a big plus for HTML is the ability to track your opens. What I would recommend is to try it both ways and see what it does for your click-throughs or your bank account. I’m a few weeks in to testing text-only emails and it’s looking better than my HTML messages. Use of the Ellipsis. These series of dots can be so powerful in adding some intrigue to your messages. Besides being unusual, the actual meaning behind them is an unfinished thought. So for instance, “I thought I would write a blog post today… but decided to finish up a sales page instead”.